Coca-Cola’s programme to honour record winners of their prestigious Copa CocaCola tournament ended yesterday with a donation of school textbooks to Churchill High School. The programme which is part of their Copa Coca-Cola @30 Anniversary celebrations has also seen include Hippo Valley High in Chiredzi, and Mzilikazi in Bulawayo receiving their donations on the 27th and 13th of June, respectively. In an interview with 263Chat on the sidelines of Churchill High trophy tour, Coca-Cola senior brand Manager, Vee Chibanda said it has been an exciting journey going down memory lane to the best participants. “It was exciting to go down memory lane and honoring some of the best participants, as we celebrate our 30th anniversary. “We are concluding our trophy tour here at Churchill and this is coming at a time when we are just concluding the provincial finals that will pave way for the national finals in Zvishavane next week. “We are expecting fireworks at Mandava where 24 schools will battle for this years’ championship,” said Chibanda. “This has been a long journey that we are all proud of. For over the 30 years we have been supporting grassroots soccer through COPA Coca-Cola, we are glad our efforts have not gone in vain. 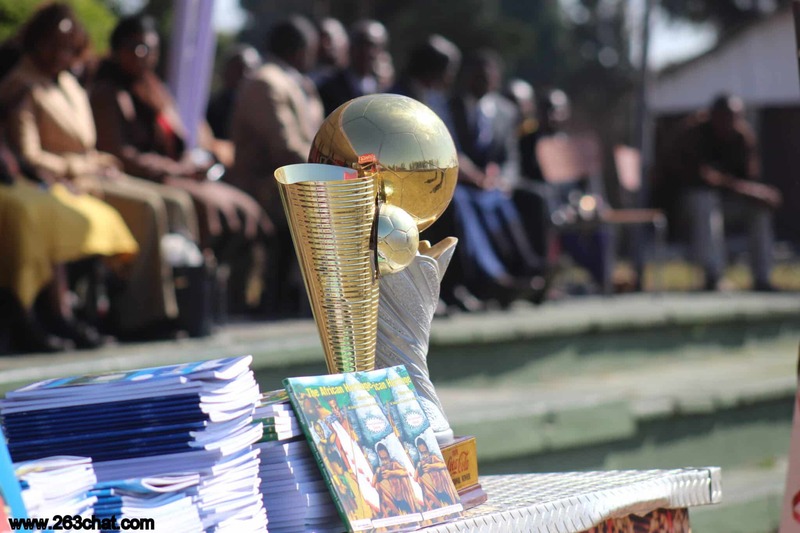 “As we take the trophy to the schools, reminding each other of the glory days, we are also giving them a token of appreciation in the form of text books for their exceptional performances,” added Chibanda. Churchill High School won the tournament in 19992, 1994, 2000 and 2008 and has produced stars who went on to excel in their football career among them Norman Maroto, Elasto Kapowezha and George Mbwando among others. COPA Coca-Cola has produced many notable stars that have excelled in Europe’s top flight leagues and the national team including Peter Ndlovu, Cephas Chimedza, Alois Bunjira and Knowledge Musona among others.